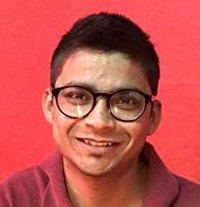 Mr. Jatin Kumar is Research Analyst in West Asia Centre at the Institute for Defence Studies & Analyses (IDSA), New Delhi and a doctoral candidate in the Centre for West Asian Studies, Jawaharlal Nehru University. His doctoral thesis examines Israel’s National Security Policy Making after Oslo. His areas of interest include the issues related to National Security, Threats of Terrorism and Counter-Terrorism, al-Qaeda and Franchise Terrorism, Intelligence Studies and Regional Strategic issues in West Asia. His research papers have published in Contemporary Review of Middle East and Strategic Analysis. He is a frequent contributor of opinion articles on various strategic issues to online publications. Mr. Kumar has also contributed chapters to two edited volumes, Persian Gulf 2015: India’s Relation with the Region and Persian Gulf 2016-17: India’s Relation with the Region (Forthcoming). In July 2017, he was awarded The Council for Higher Education’s Scholarship (CHE), Israel to participate in theInternational Summer Program on Identity Based Conflict Resolution, Bar IIan University, Israel.